The Castile combines traditional with state-of-the-art engineering. 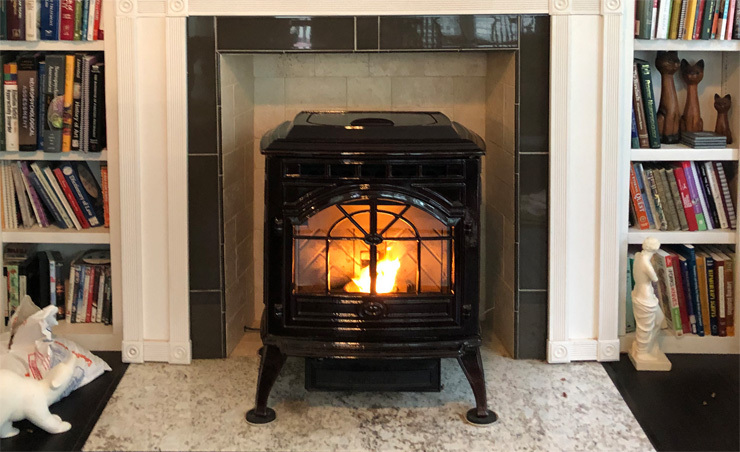 EPA certified with cast iron craftsmanship delivers impressive performance. Available in unique finishing options. 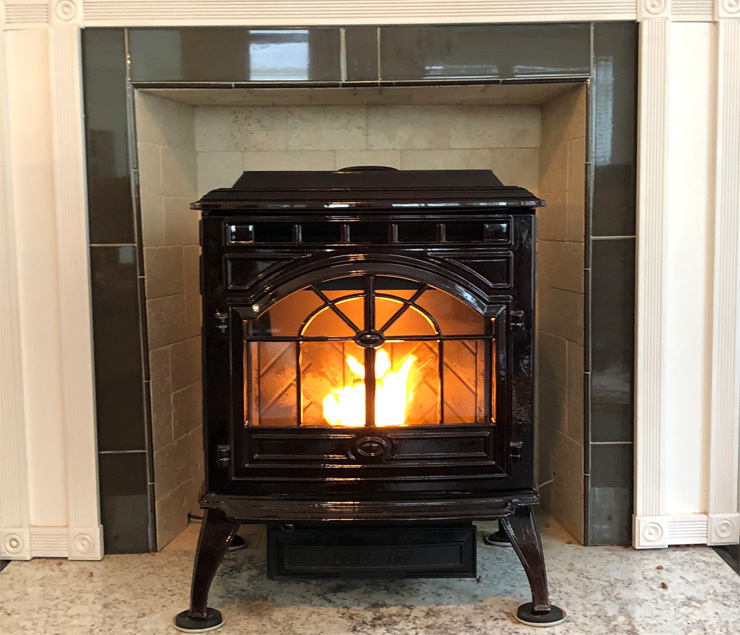 Stove shown is free standing Porcelain Mohagany Brown. Complete control over temperature with wall mount and remote control system.